Freshwater resources are an essential component of the Earth's hydrosphere and an indispensable part of all terrestrial ecosystems... The widespread scarcity, gradual destruction and aggravated pollution of freshwater resources in many world regions, along with the progressive encroachment of incompatible activities, demand integrated water resources planning and management... As populations and economic activities grow, many countries are rapidly reaching conditions of water scarcity or facing limits to economic development. Water demands are increasing rapidly, with 70-80 per cent required for irrigation, less than 20 per cent for industry and a mere 6 per cent for domestic consumption. Water footprint is the total volume of freshwater used to produce goods and services consumed by an individual, community or business. A water footprint calculates the impact people have on water both directly (drinking, washing, cooking) and indirectly (industry, food production). For instance we are beginning to see the amount of water used in producing one pound of beef, or chicken, or one pound of coffee, etc. Having the information about water footprint could guide consumer decisions. It will also rapidly move producers and consumers both to consider how much water a country exports when it exports food, or other manufactured goods, as such exports of water cannot be replaced. The Water Footprint Network recently launched its Water Footprint Manual containing a comprehensive set of methods for water footprint accounting. This manual can be used for individual events, consumers, nations and businesses with the goal to transition to sustainable, fair and efficient use of freshwater resources worldwide. The fifth annual Royal Bank of Canada (RBC) Canadian Water Attitudes Study, conducted by international research consultancy GlobeScan shows that Canadians believe maintaining our drinking water supply is one of the most important areas for government funding (behind hospitals and tied with schools). The survey also finds water related issues has inconvenienced more than half of Canadians in the past two years. Yet the same survey shows a disconnect: more than 80 per cent feel there is no need for major and immediate investment in their community's drinking water/wastewater facilities. The level of confidence in the safety and quality of drinking water has increased, and more than a third of Canadians (37 per cent) who use municipal water are not very aware of the condition of the water and sewage infrastructure serving their own home. "We have been polling on water issues for 25 years. This survey is a tale of romance between Canadians and their treasured water. But there's a significant gap between romance and reality. We found a troubling lack of awareness not only about water conservation but also the very pressing need for investment in infrastructure." stated GlobeScan President Chris Coulter. "In many municipalities, water distribution and sewage pipes can be up to 80 years old and have already reached the end of their service life," says Bob Sandford, Chair, Canadian Partnership Initiative of the United Nations Water for Life Decade. He added "reports have shown there is an $88-billion investment required to repair and build new water infrastructure in communities across Canada. Investments in water infrastructure maintenance are chronically underfunded and often deferred. This is causing a multitude of issues not immediately associated in the minds of Canadians with water quality and supply." The survey was sponsored by United Nations Department of Economic and Social Affairs Water for Life Decade (2005-2015) project, and funded by Royal Bank of Canada's Blue Water Project, a $50 million 10-year global charitable commitment to help protect the world's most precious natural resource: fresh water. The International Hydropower Association (IHA) has published the first edition of the Greenhouse Gases Measurement Guidelines for Freshwater Reservoirs, a publication and the current standard on measuring Greenhouse Gas (GHG) emissions from reservoirs. The GHG Measurement Guidelines are an outcome of the United Nations Educational, Scientific and Cultural Organization (UNESCO) /IHA GHG Status of freshwater reservoirs Research Project. The Guidelines were launched at the 2010 HydroVision International Conference in Charlotte, USA. GHG Measurement Guidelines provide a comprehensive tool to assess the GHG status of Freshwater reservoirs, including definitive guidance on measurement and qualification of emissions resulting from the formation of reservoirs. The Guidelines cover concepts and processes involved in GHG measurements, approaches to conducting field measurements, and guidance on calculating results. "This milestone publication draws from ongoing research hosted by IHA, in collaboration with the International Hydrological Programme (IHP) of UNESCO, and has benefited from the collaboration of numerous research institutions and scientists its peer-review group," states Richard Taylor, IHA Executive Director said. 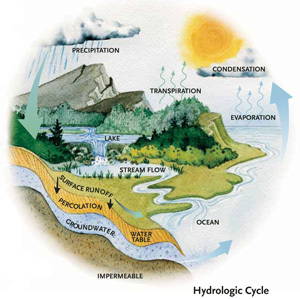 The guidelines aim to promote scientifically rigorous field measurements and evaluate net emissions from global freshwater reservoirs, build standardized, credible set of data from sampled reservoirs, and develop predictive modeling and guidance/assessment tools for mitigation of GHG emissions. International water issues are referenced in Chapter 18 of United Nations Earth Summit Agenda 21 document, entitled Protection of the Quality and Supply of Fresh Water Resources: Application of Integrated Approaches to the Development, Management and Use of Water Resources. Agenda 21 is the 1992 United Nations Earth Summit in Rio de Janeiro, and the plan to implement Rio agreements and guide business and government policies into the 21st century after Rio de Janeiro. In December 1992, the United Nations General Assembly designated March 22 as 'World Day for Water'. The theme for World Water Day 2010 is "Communicating Water Quality Challenges and Opportunities". Each year, a different United Nations (UN) agency is selected to coordinate events surrounding World Water Day (WWD) around the world, and a different theme is chosen to reflect the many facets of freshwater resources. World Water Forum is an initiative of the World Water Council (WWC), an international water policy think-tank established in 1996 in response to global concern over the pressures on the Earth's freshwater resources. The Forum is the largest international event on freshwater and is convened every three years. Its objective is to enable multi-stakeholder participation and dialogue to influence water policy-making at a global level, in pursuit of sustainable development. 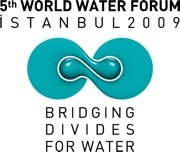 The 5th World Water Forum convened March 2009, in Istanbul, Turkey. 33,058 participants from 192 countries took part in the largest World Water Forum yet with over 100 session on 6 themes and 23 topics. The main theme of the 5th World Water Forum was, "Bridging Divides for Water", addressed through themes designed in a 'pyramid approach', where all sessions, topics, themes, issues and aim led to Bridging Divides for Water. The 4th World Water Forum convened in Mexico City, Mexico from March 16-22, 2006, culminating with the celebration of World Water Day on the last day of the meetings - March 22nd. The main theme of the 4th World Water Forum was, "Local actions for a global challenge". Over 200 thematic sessions were held as part of the forum, with almost 20,000 participants in attendance. Governments, UN agencies, intergovernmental organizations, non-governmental organizations (NGOs), academia, business and industry, indigenous groups, youth and the media were all in attendance. According to the Council of Canadians, "[t]he World Water Council is dominated by the World Bank, big water corporations, and the water ministries of First World countries. The pro-privatization lobby has a strong voice at the World Water Forum, and will continue to resist any attempts to take water out of the marketplace." An international community of organizations, including the Council of Canadians' Blue Planet Project coordinated an alternative forum to the World Water Council's World Water Forum. Activists and organizations from around the world met in Mexico City during the 4th World Water Forum for the first time. They convened once again in 2009, Istanbul at the 5th World Water Forum to "delegitimise this false, corporate driven World Water Forum and to give voice to the positive agenda of the global water justice movements". The United Nations World Water Report is released every three years in conjunction with the World Water Forum and is a review of the state of the worlds freshwater resources. The Third report, Water in a Changing World focuses on; Climate Change, Millenium Development Goals, Groundwater, Biodiversity, Water and Migration, Water and Infrastructure, and Biofuels. On March 19, 2006 at the 4th World Water Forum, the World Water Council in partnership with Green Cross International, Académie de l'eau, Alliance Maghreb Machrek and the International Secretariat for Water released a report entitled The Right to Water: from Concept to Implementation. The report identifies the conditions necessary for effective implementation of the right to water and in particular the necessary implication of all stakeholders at the local and national levels. In the closing plenary of the 2006 4th World Water Forum, Koïchiro Matsuura, UNESCO Director-General, introduced the second edition of the World Water Development Report entitled Water: A Shared Responsibility stressing its focus on governance as a key to addressing the global water crisis and tackling poverty. The Report is a product of collaboration among 24 agencies involved in water resources management. water governance, including institutional capacity, legal frameworks and resource distribution, need to be improved. Water is the lifeblood for all living things. According to the Canadian Council of Ministers of the Environment (CCME), Canada has approximately 7% of the world's total renewable freshwater supply. 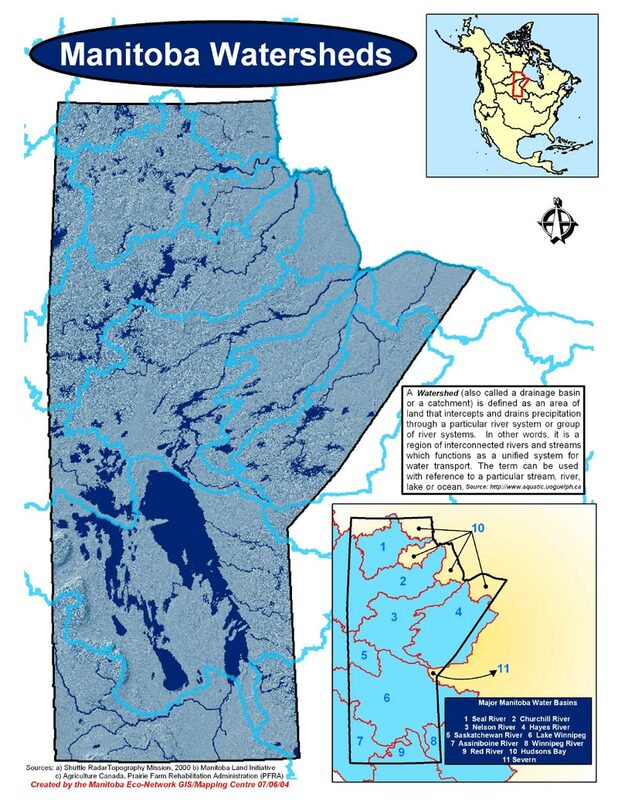 Manitoba has an abundant amount of surface and ground water in its inland lakes, rivers, and aquifers. Lakes and rivers cover 102,000 square kilometers of Manitoba's area (1/6 total area). The majority of water enters into Manitoba from neighbouring jurisdictions (three Canadian provinces and four U.S. states) and drains into the Hudson Bay. This huge surface area of water is made up of over 100,000 lakes as well as thousands of rivers and streams. Three of the 15 largest lakes in Canada are in Manitoba, Lake Winnipeg is the 10th largest freshwater lake in the world with its 24,000 square kilometer surface area. Manitoba has two Canadian Heritage Rivers (CHR): the Bloodvein River and the Seal River, with the Hayes River nominated. A river must be nominated, and can then become a Heritage River once a management plan or a heritage strategy is developed and approved by the Canadian Heritage Rivers System Board. Heritage Rivers are not legally protected from development, and are a federal program. The Canadian Heritage Rivers System was established in 1984 to give recognition to important rivers in Canada and is a program developed between federal and provincial/territorial governments to conserve the features and values of these rivers. In December 2003, The United Nations General Assembly proclaimed the decade 2005-2015 International Decade for Action 'Water for Life'. This recommendation, designed to begin on March 22, 2005, calls for a greater focus on water, greater participation of women in water-related development efforts, and coordinated action to deal with the world's ever-growing water crisis. A key objective is the implementation of Chapter 18 of Agenda 21. The IUCN (also known as the World Conservation Union) release of the publication Water as a Human Right? in 2004 reflects a new international dialogue concerning the implications, benefits, steps and issues to be addressed so that access to clean water becomes an internationally recognized human right. Until now, the content and scope of a right to water has not been clearly defined in international law. No serious discussion about the fundamental human right to water has occurred at an international level. Water as a Human Right? 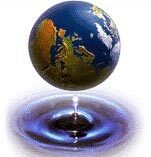 provides a legal review of international conventions and agreements with regard to human rights and water. It explores possible content and scope of water as a human right, and examines the responsibilities of various parties. The authors conclude that a rights-based approach could be a logical means of giving effect to agreements such as the Millennium Development Goals and their reconfirmation at the 2003 World Summit on Sustainable Development. The Millennium Development Goals arise from the Millennium Declaration, which was adopted by the United Nations General Assembly September 8, 2000. The Millennium Development Goals are a commitment by UN countries to join forces in the fight against poverty, illiteracy, hunger, lack of education, gender inequality, child and maternal mortality, disease and environmental degradation. One of the actions to achieve Millennium Development Goal #7 - Ensure Environmental Sustainability - is to "reduce by half the proportion of people without sustainable access to safe drinking water". Download IUCN publication Water as a Human Right? At the annual August 2009 meeting of the Council of the Federation Premiers they agreed to implement the Canada-wide water efficiency-labelling program to encourage reduction of consumer water usage by informing consumers of the most efficient products on the market. The Council of the Federation Water Stewardship Council was also established. 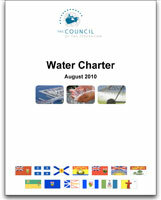 See 2010 Council of the Federation Water Charter. 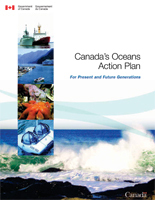 In 2007, as part of Canada's new National Water Strategy the federal government started the Health of the Oceans Initiative to protect Canada's marine environments, counter pollution and strengthen preventative measures. In October 2007, the Gordon Water Group created Changing the Flow: a Blueprint for Federal Action on Freshwater (PDF), describing an action plan to protect Canada's freshwater. In May 1994, the CCME approved The National Action Plan to Encourage Municipal Water Use Efficiency with the goal of "achieving more efficient use of water in Canadian municipalities in order to save money and energy, delay or reduce expansion of existing water and wastewater systems, and conserve water". In 1987, following a three-year process, the Canadian Council of Ministers of the Environment (CCME) released the Canadian Water Quality Guidelines. The guidelines provide recommendations on protecting/enhancing freshwater and marine water use. Threshold concentrations for substances relating to aquatic life, drinking, recreational, agricultural, and industrial use are provided in the guidelines. The guidelines were revised in 1999 and integrated into Canadian Environmental Quality Guidelines (550 environmental quality guidelines for water, air, soil, sediment and tissue residue). The CCME Water Quality Index (CCME WQI) outlines procedures for Canadian jurisdictions to report water quality information to both management and the public. In 1968, the Government of Canada published The Guidelines for Canadian Drinking Water Quality. Developed by the Federal-Provincial-Territorial Committee on Drinking Water of the Committee on Environmental and Occupational Health, the guidelines set out maximum acceptable concentrations for more than 140 microbiological, chemical/physical and radiological contaminants in drinking water. Governments in Canada have both separate and shared areas of jurisdiction over water management. Provinces manage surface and groundwater resources including water use licensing, regulating flows, authority to legislate areas of water supply, pollution control, as well as thermal and hydroelectric power development. The federal government manages the protection of fisheries, water navigation and water in federal lands such as the territories, National Parks, First Nation Reserve lands, and international water boundary issues. The federal government provides advice and leadership on water quality objectives but does not have legislation in this area. 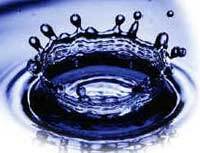 Provincial governments have legislation and regulations for water quality. Municipalities are responsible for testing drinking water for coliforms and residual chlorine. Reporting requirements include report the test results to the Provincial government. The Yukon Supreme Court has upheld a decision by the territory's water board not to license a controversial copper mining proposal, vigorously opposed by the Little Salmon Carmacks First Nation, the Selkirk First Nation, and the Yukon Conservation Society. The board's May 2010 decision said Western Copper's Carmacks project proposed heap leach method for extracting copper from ore is unproven and poses too many risks to Yukon's environment. The heap leach method the company proposed pours sulphuric acid onto thousands of tonnes of copper ore piled on a rubber liner. Vancouver-based Western Copper appealed the water board's ruling a month later, arguing that the water board exceeded its jurisdiction by denying the Carmacks project a water licence, even though the project has other necessary approvals. Justice Ron Veale disagreed holding the water board has jurisdiction over the water that Western Copper proposed to use for its heap leach process and therefore it has the right to make a ruling. "The viability of the heap leach process is not simply a question of commercial viability, it goes to the very fundamental question of whether the mine can leach the copper without creating water toxification issues that cannot be managed," wrote Veale. "This decision that the water board ... does have jurisdiction over these mining projects is very important. It ensures that when projects get developed that they will include adequate water treatment programs and initiatives, and they will not pollute the Yukon environment," said Lewis Rifkind, the conservation society's mining director. "The message is very clear, proponents planning to develop projects in our traditional territory must work with us and must be committed to the principle of sustainable development in order to move forward," said Eddie Skookum, Chief of Little Salmon/Carmacks. The first ever Canada Water Week, a nation-wide celebration of water, takes place March 14-22, 2011 with this year's theme being "Healthy Rivers, Living Lakes". To present Canada Water Week, Living Lakes Network Canada joined with WWF Canada and The Walter and Duncan Gordon Foundation to involve as many people and groups in water awareness activities as possible. As new people get involved in water awareness, they'll also get involved in water stewardship. So far, hundreds of groups across the country have signed up to celebrate water during Canada Water Week. There are film screenings, shoreline cleanups, speakers and more. March 17 presentation on Assessing Federal Programs: Fresh Water and Climate Change Adaptation at 12:30pm, St. Boniface Library in Winnipeg. March 19 all-day Lake Winnipeg Water Level Regulation Workshop, University of Winnipeg campus. March 20 collaboration of musicians, poets, storytellers, artists and comedians celebrating Manitoba's beautiful rivers and lakes, 2pm, West End Cultural Centre in Winnipeg. March 22 all day Water Cycle movie showing in Miniota, MB. March 22 "H2ohhh" 8pm book launch at McNally Robinson's 1120 Grant Ave. Winnipeg location. Also airing during Canada Water Week on The Nature of Things a documentary that plunges into scientific and environmental factors behind the shocking deterioration of spectacular Lake Winnipeg over the past 35 years. Entitled "SAVE MY LAKE" the documentary airs at 8pm, March 17, 2011. At the 2010 annual meeting of all of Canada's Premiers, called the Council of the Federation and held in Winnipeg from August 4-6, Canada's provincial and territorial leaders signed on to a new Water Charter. The Yukon, Nunavut, British Columbia, Alberta, Saskatchewan and Manitoba had originally agreed to the Charter at the 2010 Western Premiers' Conference held in Vancouver, B.C. on June 15-16. The endorsement of the Charter by the other half of Canada's Eastern Premiers followed less than two weeks after the United Nations passed a resolution that declared water and sanitation a human right. The federal Canadian government refused to endorse the resolution and abstained from voting. "Water is a vital natural resource that is a necessity for all life on earth. Yet, Canada is ranked second highest among OECD countries for per capita water consumption. Canadians can and must do better," states the Council of the Federation press release. Collaborate with Provinces, Territories and State governments on transboundary issues. "The Premiers' new Canada Water Charter appears to be an important collaboration for Canada's future water security. Canadians are highly concerned about our waters in the face of climate change and this Charter could be a step in addressing the challenges we are going to increasingly have to confront. The premiers need to be transparent while dedicating staff to a workplan with annual reports, for Canada's new Water Charter," said Gaile Whelan-Enns, Director of Manitoba Wildlands. Model for a Water Protection Regime? The Waterhole is a collaborative project of Environmental Defense and the Canadian Environmental Law Association. The Waterhole web site (waterhole.ca) is a meeting place for those in Canada who are concerned about the protection of water and contains information on water legislation and policies, news, contact information for groups working on water issues, and water related events. In February 2004, the Ontario provincial government released its White Paper on Watershed-based Source Protection Planning as part of its plan to implement the recommendations of the Walkerton Report. A list of provisions for the protection and safeguarding of Ontario's water resources and aquatic ecosystems has been developed and posted on The Waterhole. The provisions have been endorsed by a range of community and environmental groups. We are reproducing an excerpt of the list of provisions for a source water protection regime below. These provisions may be used as a model by other jurisdictions, including Manitoba, in the planning of its water policy and legislation. Bill 22, A Water Protection Act is currently under review, with amendments expected during the new session of the Legislature, starting November 22, 2004. The Canadian government's Standing Committee on Transport, Infrastructure and Communities is proposing changes to the Navigable Waters Protection Act (NWPA). The changes are cause for concern for public interest groups and First Nation communities, as they would significantly reduce triggers for federal Environmental Assessment (EA) processes. Currently, the NWPA is one of the primary triggers for federal Environmental Assessment of proposed projects in Canada. The amendments include changing the definition of "navigable waters" to exclude 'minor' waters from the Act. This would allow developers to alter water courses without the need for an environmental assessment, AND it means government would no longer be required to consider communities that make use of waterways when evaluating projects. The government is considering deletion of specific reference to each of the four 'named' works under the Act (bridges, dams, causeways, and booms), which currently automatically trigger an EA. EA often generates information that can affect First Nation consultation. Concerns about public participation and weakening of the EA process are relevant to First Nations and may mean Supreme Court rulings on the "duty to consult" will have to be relied upon to ensure First Nation traditional lands and resources (including waterways) are respected. It is unclear what public notification occurred with respect to input from the public, stakeholders and First Nation communities. The list of briefs and witnesses who presented before the Standing Committee includes a handful of NGOs, and no representatives from either Indian and Northern Affairs Canada or First Nations. An astounding 1766 boil water advisories in place across Canada in Spring 2008, with an additional 93 boil-water advisories in First Nation communities. The Canadian Medical Association Journal released a report of current provincial boil-water advisories, some having been in place for at least 5 years. Currently, there are no national drinking water quality standards. The Council of Canadians and the Federation of Canadian Municipalities are calling on federal and provincial governments to develop a strategy framework that will make clean, safe water a priority across the country. The federal government promised drinking water standards for First Nation communities in early 2007; there is no bill before the House of Commons. In Manitoba as of October 26, 2009, there are 90 boil water advisories or boil water orders compared to 59 in March of 2008, according to Manitoba Water Stewardships Office of Drinking Water. (Does not include First Nations) Advisories in Manitoba cover both public water systems, and private wells and septic field systems. The Water Chronicles, an independent organization, monitors water quality in Canada and maintains an interactive map of all boil-water advisories for Manitoba and across Canada. Boil water advisories means that the water is contaminated and unfit to drink without boiling. Health Canada estimates that unsafe drinking water causes 90 deaths and 90,000 illnesses each year in Canada. Water and its supply, use, management, and jurisdiction are emerging as very important environmental, political and economic issues in Canada and around the world, and particularly so in the face of our changing climate. The rights of Aboriginal Peoples in Canada when it comes to water are also part of this discourse. Below we highlight important documents on the subject of Aboriginal Peoples' rights concerning water in Canada. Merrell-Ann Phare is Executive Director at the Centre for Indigenous Environmental Resources (CIER) in Winnipeg. Kate Kempton is Legal Counsel at the Law Firm of Olthuis Kleer Townshend in Toronto.